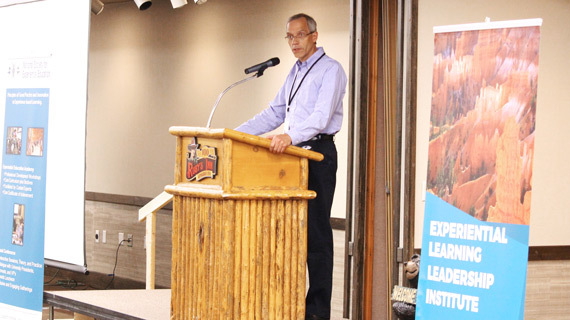 Southern Utah University recently hosted its fourth annual Experiential Learning Leadership Institute (ELLI) conference from June 25-28 in Flagstaff, Arizona. The three-and-a-half day conference was host to roughly 150 educators from across the United States and Canada. Participants discussed experiential, engaged, and project-based learning trends and techniques, while networking and sharing their latest ideas and scholarship projects. The theme this year was Experience a World of Learning. ELLI is an organization dedicated to providing experiential educators with the tools and experiences to energize their respective programs. ELLI is hosted by Southern Utah University in collaboration with the National Society for Experiential Education. The learner must possess decision making and problem-solving skills in order to use the new ideas gained from the experience. The conference included an experiential education excursion to one of the seven wonders of the natural world, the Grand Canyon. It also featured active-learning sessions, fascinating breakouts, and engaging "PechaKucha" sessions. PechaKucha presentations are an upbeat format that keeps presenters on their toes as their twenty slides advance automatically every twenty seconds. This format prevents individuals from becoming “long-winded” in their communication and presents information in an entertaining way on a wide variety of subjects or perspectives. 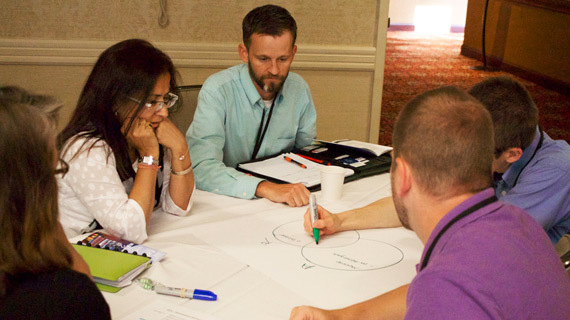 “The success of the ELLI national conference has brought positive attention to SUU and the role the campus plays as a national leader on this front.” said Patrick Clarke, Dean of Integrative and Engaged Learning. In addition to the conference, ELLI also sponsors a national leadership retreat in Moab, UT each February. ELLI is also home to the academic journal Experiential Learning and Teaching in Higher Education. ELLI 2018 was sponsored and hosted by Southern Utah University and co-hosted by the National Society for Experiential Education and the Northern Arizona University Honors College.